I spend a lot of time in the mountains - seeking their summits, their beauty, their good tidings. Climbing for me is more than a hobby; it’s an obsession and a lifestyle. The mountains have taught me a lot of valuable lessons over the years. It’s occurred to me that many of these lessons can be applied to Voice of Customer and Customer Experience. And so I bring you a short series of customer experience lessons from the High Country. This series is intended to be light-hearted and inspirational in nature, and I hope you enjoy it as such. It’s the summer of 1996, I’m a 22-year old kid – wiry with dirty blond pigtails, plus a crooked grin and a high-mileage sedan. I’m working for a ranch in Wyoming, and an amazing opportunity presents itself: Would you like to climb the Grand Teton? 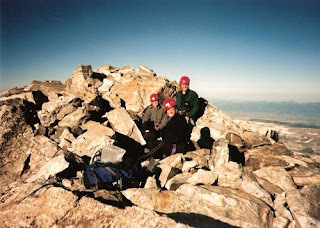 As part of my employment, my boss arranged for a guided group climb of the second highest peak in the state. Standing an impressive 13,770 feet / 4,197 meters above sea level, the easiest route to the top of this majestic peak requires technical climbing. For those less familiar with the sport, I mean helmets, ropes, harnesses, carabiners, cams, and nuts. At this point, my technical climbing experience is limited to indoor gym climbing, a high ropes course or two, some more-involved caving adventures, plus some outdoor rappelling practice. Me? Climb “The Grand”? <gulp!> Sure! After two days of rock school, practicing climbing moves, essential rope knots, and safety practices, we are off on our two-day adventure. Much of the first day is spent hiking to the saddle, gaining several thousand vertical feet along the way. We have to traverse some snow fields higher up, but the day is mostly mellow. At the saddle, we settle in for dinner, then snuggle into our sleeping bags for a well-earned rest. The alarm rings. It’s 3:00 AM, pitch black, and bitterly cold. Headlamps flicker on, and the climbing hut becomes a hive of activity. Soon, we are dressed with our boots laced, harnesses pulled snug and shouldering our packs, we head into the mountain chill toward the summit. The sun slowly rises in the east, casting upon Idaho the pyramidal shadow of the monster I’m about to climb. I realize the enormity of what I’ve committed to. Holy *&@#. As we ascend, the day grows brighter and the terrain steeper and more demanding. We begin the technical climb. The exposure is huge – my head spins, the holds seem miniscule, my mouth goes dry…I’m scared. But my fear is tempered by other sensations: Joy, elation, thrill. Soon the sun warms the mountain, and I can smell the minerals in the craggy vertical rock just inches from my nose. Final exams, bills, relationship woes – all these worries slip away as I’m focused on the here and now. I feel more alive than I’ve ever felt before. I’m actually enjoying this! We pop out onto a jumble of boulders, and suddenly there is no place else to go, no more climbing to do. We’ve reached the summit! We snap some quick hero shots on the top, drink in the incredible views, and then begin our descent. The overhanging 50-meter rappel went by quickly and painlessly. We weaved our way back to the saddle, rested, and had some snacks, then hiked back down to the valley. Looking back, I laugh a little at my hubris. Some kid with zero alpine climbing experience taking on a peak like the Grand Teton is pretty audacious, even with strong young knees and a guide! Much of my bliss was due to ignorance, I confess. I lacked the climbing experience to really appreciate, at a gut level, the risks I was exposing myself to. Yet I had overcome mental fear and physical challenges and made it to the summit and back. Strolling the sidewalks in Jackson Hole later that week, I had a spring in my step, a boost in my confidence. I was proud. 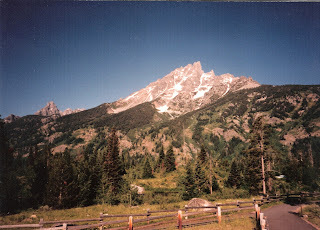 I had not only survived, but thrived, on the Grand Teton. I meet a lot of people in this industry who entered their Voice of Customer and Customer Experience roles very suddenly and with minimal formal preparation: A vacancy opened at the company; you were reassigned to build a new department; “someone’s got to do this” and that someone is YOU. You wake up one morning and have “Customer Experience” in your title, and you may be a bit uncertain of what the future holds. A lot of you are living “Baptism by Fire” as we speak. I cringe at the challenges you face, but I delight in watching the bold among you ignore the inner fear and outer naysayers and just jump in, do your best, and make this thing happen! 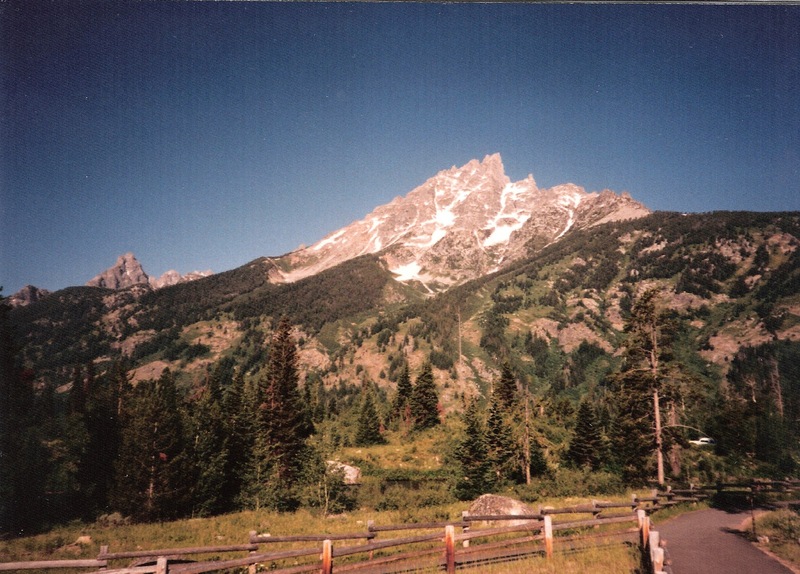 I know many of you are climbing your own Grand Teton with your Customer Experience programs: tall orders, difficult terrain, frightening conditions, unfamiliar skills requirements, long days, high expectations. At times you might feel scared, overwhelmed, in over your heads. I’ve been there. You can do it! Jump in with both feet, give it all you’ve got, and make a splash. Don’t just survive your Customer Experience and VoC program – learn to enjoy it and thrive. It’s not such a bad thing if, nearly two decades later, you get to look back and shake your head at your own hubris – through the lens of success. I started my CEM Toolbox series back in January and haven't kept up with it at all. There have just been so many great things to write about since then. I'll strive to get back to it, and if you have any suggestions for the Toolbox, I'm all ears! Last week, Howard Burns of Microsoft and I hosted a CXPA Roundtable about the Apostle Model. As we wrapped up the call, I knew this would be a great topic to add to the Toolbox. I've written about the Apostle Model a few times, but it's time to update the theory with some practical application. 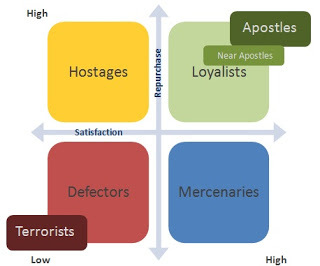 As a refresher, the Apostle Model is a different way (as opposed to NPS, for example) to segment your customers for the purpose of understanding loyalty and driving customer-centricity in the organization. This model uses two questions (overall satisfaction and likelihood to repurchase) to create the segments. The image above gives you a quick look at the segments and how they are defined. 1. Know and understand your customers. This is important for everything you do, but it's important when you're choosing a loyalty model/metric or deciding how to segment your customers. According to The Service Profit Chain, "Organizations that have not identified the customers they are targeting have a special handicap in achieving total customer satisfaction. They too often attempt to please everyone, creating too many 'merely satisfied' customers and too few 'apostles' in the very core of the customer base in which they should be investing. Further, customer satisfaction measures too often are averaged across segments and not related to other measures that could provide insights into profitable strategies." Amen. 2. Understand the metric. What is the Apostle Model? Understand how it works and the fact that it provides a different view of the customer. Overall satisfaction is overall satisfaction, but adding a second dimension, i.e., likelihood to repurchase, like the Apostle Model does, creates a different perspective. Also, determine the best loyalty measure for your organization to use in the Model. Microsoft uses a composite/index as the value for the y-axis. 3. Sell the metric. Why are we using this one? Executives within your organization will not just accept a metric because you say it's the one to use. Do your homework. Explain why this is the best one for your organization, for your customers. Prove it. 4. Educate. Once you've sold it to the executives, you need to socialize it with the rest of the stakeholders within the organization. As a matter of fact, you'll need to educate everyone, not just stakeholders. 5. Validate. Clearly there will be several validation points along this journey, including before you even sell the metric to your executives. But after you roll it out, you will want to continue to validate to ensure this metric makes sense for you. 6. Now what? Prepare a prescriptive guide that outlines how employees will deal, respond, and interact with the different customer segments differently.Why? Again citing The Service Profit Chain: "Satisfaction scores provide useful early warning of problems, but... satisfied customers do not systematically buy more than... unsatisfied ones." This is why they did the research that resulted in the Apostle Model. Once we accept the fact that satisfied customers are not loyal customers, we need to realize that we need to outline how we will interact differently with customers, depending on who they are. Result: A personalized customer experience. Hmmm... what a novel idea. Today's post is republished, with the author's permission, from the original post on Etuma. No matter how great a product your company provides and no matter how carefully you safeguard against faulty products, things go wrong: delivery systems fail, component suppliers ship faulty parts, customers use products improperly, or sometimes customer expectations are simply wrong. All these are quick opportunities to lose current and potential customers, including not only the dissatisfied customer or customers but also every other customer or potential customer they interact with about the problem. To avoid unnecessary customer defection, companies need to have a process in place for dealing with these types of issues. This process is typically called a “service recovery program,” and it requires accurate and effective detection systems, a preemptive action plan, and resources ready to take immediate action. The service recovery paradox is a popular hypothesis, which states that a customer who has a less than satisfactory experience with a company’s product, but who receives a high level of attention and compensation for the problem, can actually end up being a more loyal customer than one who never had any problems with the product to begin with. This hypothesis is debatable and, of course, in reality not so simple, but experts agree that a service recovery program is an essential element in a company’s customer experience management process. Why is customer feedback analysis important to a service recovery program? The right customer feedback analysis service will provide a unique opportunity to recognize product, service, and delivery failures in real-time and to take corrective action quickly, effectively, and to the customer’s satisfaction. So, what are the characteristics of the right customer feedback analysis service? 1. A real-time customer feedback analysis service enables companies to detect customer dissatisfaction as soon as it happens and to take action before the customer has been lost and/or starts to interact with others about his dissatisfaction via, for example, social media. 2. A multi-channel customer feedback analysis service enables companies to react to customer complaints from social media as well as traditional “complaint channels” like feedback forms, call centers, event-based surveys, and email. 3. An effective service recovery program–one that results in saving the customer or even improving his level of loyalty–is well-thought out and extremely reactive. A centralized customer feedback analysis service enables companies to shift valuable human resources to planning and carrying out recovery efforts. 4. An efficient customer feedback analysis service allows companies to shift financial resources typically spent on analysing data to recovery program planning and execution and, perhaps most importantly, compensation for dissatisfied customers. Matti Airas is the CEO of Etuma. Etuma's main mission is to provide customers with services for free-form text feedback analysis covering various feedback channels (social media, forums, NPS, transaction queries, etc. ), to help improve their overall customer satisfaction. 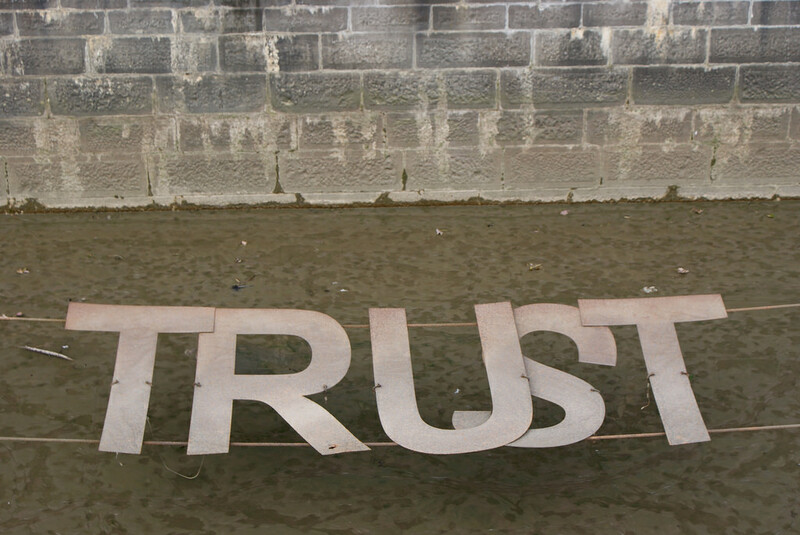 Trust in business is an important concept. I've written about it a few times in the past, so imagine my curiosity when Forbes published their list of America's 100 Most Trustworthy Companies yesterday. Apparently this isn't the first year for this list, but it's the first time I've seen it - or perhaps the first time I've taken note of it. I decided to dig in to find out how 100 companies landed at the top of this list. What exactly qualifies these companies as the most trustworthy? Since you're reading a blog about customer experience, you know where my thoughts will go in terms of qualifications. But let's see what Forbes and GMI Ratings, the company behind the rankings, used to compile this list. The first paragraph of the article states that, despite the fact that investors have lost faith in a lot of corporations, "many corporations are models of openness and integrity. "O really? In a nutshell, they say the ratings are based on the quality of corporate accounting and management practices. I can't argue with "transparent and conservative accounting practices and solid corporate governance and management," as the article notes. I've written about transparency before, so I'm on board with its importance in any organization. But I think transparent companies are open about more than just their financials; they're also open about policies, pricing, support, social responsibility, products and product issues, hiring practices, and more. Can America's 100 Most Trustworthy Companies qualify for the list based on those criteria? What do you think? Today I'm pleased to present a guest post by Stefanie Amini. Although there are many differences between business and personal relationships, being successful in either area requires a similar skill set. Whether looking for a long-term relationship or a successful business, being able to build and maintain a relationship is an important skill to have. Use these 10 tips for both personal and business relationships. 1. Treat people genuinely. Avoid treating customers like they're a number. Each person should be treated individually, even if their complaint or need is identical to others. People who are happy with their service generally tell up to 6 people about the experience. 2. Respect personal boundaries. Although it can be tempting to ask questions and get to the heart of the matter, respecting personal space is always important. When a person feels comfortable speaking with someone, they're more willing to open up and not feel defensive. 3. Listen and remember the small things. 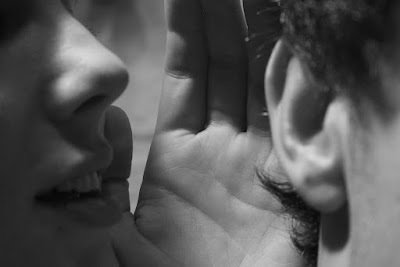 Always be willing to hear someone out, even if the information may not be needed. Many times, people just want to share a story about their experience, and it's valuable to listen to it carefully and pick up on the details. Also, most consumers are willing to pay more for a better customer service experience. 4. Remember to keep on track with the relationship. Although it's great to offer first-time incentives to customers, it's important to maintain excellent service and attention to keep a customer. The main reason customers end up leaving a service or business is because they don't feel valued anymore. A small amount of effort in this area can add up. 5. Treat them like a partner rather than an observer. Always ask for feedback and demonstrate that the opinion is valued and appreciated. Although this may not always result in positive feedback, ensure customers that all of their opinions are valued and wanted. 6. 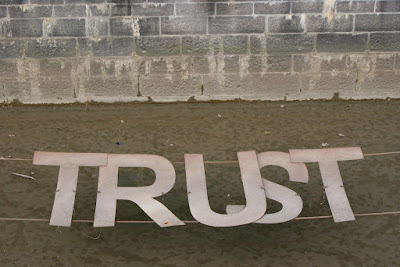 Build trust. It's very common for businesses to change over time to fit the changing times. However, customers always want to know about any change in their relationships, whether the change is good or bad. Remember that just one negative experience can take 12 positive experiences to make up for that mistake. 7. Acknowledge mistakes. Everyone makes them, but it takes an honest person to come forward and admit that they're wrong. Always acknowledge any faults made in order to prevent anger and frustration down the road. 8. Keep up with promises. When making a commitment to call or to provide a service at a certain time, always follow up. Customers are usually ready to leave a service after just two times a business falls through, so make this a priority. 9. It's worth it to apologize, no matter what the circumstance. Although the problem may not always be the fault of the business, it never hurts to offer sympathy and empathy. This can help to mollify customers and build a stronger relationship. 10. Always be grateful. Kindness and continuous gratitude improve the quality of the relationship between the customer and the business and ensure continued business. Many people will stay with a company even when faced with better offers if that company has a history of good experiences. These ten things are great ways to build strong service standards for both personal and business relationships. Apply these to multiple situations to see improvements. Stefanie Amini is the Marketing Director and Specialist in Customer Success at WalkMe, the world's first interactive online guidance system. She is chief writer and editor of I Want It Now, a blog for Customer Service Experts. Follow her @StefWalkMe. Today's post was originally published on January 29, 2013, on Employee Happiness Tips Tricks & Tools, a site where you can find state-of-the-art real-life ideas for boosting employee happiness. I've made only slight modifications. There is a clear linkage between the employee experience and the customer experience. We know that. And yet, many companies still refuse to make the employee experience a priority, focusing instead on stakeholder value, the bottom line, or customer experience without considering the implications of a poor employee experience to all of the above. Today's post is about what it takes to put employees first, to make their experience a clear priority. I've been preaching the importance of employees in the customer experience equation since my days at J.D. Power and Associates 20 years ago, and yet, in the heat of customer experience design efforts, employees are forgotten. Company executives say: "Oh, we'll collect feedback from employees later. We'll incorporate employee data after we hear how our customers feel. We’ll do something for employees next year. We’ll think about our culture at another time. Let's start with customers." This is not, nor has it ever been, acceptable. [Added March 12, 2013] In this video, an interview with Sir Richard Branson, Branson advocates the same: "Put your staff first, customers second, and shareholders third." It is often said that customers buy from brands with which they align, whether that alignment is with the brand's purpose, the corporate social responsibility policy, or something else. Employees want to work for companies with which they are aligned, as well. That's where passion comes in. How can you be passionate about doing something or being a part of something you don't care about or that doesn't fit your own values? Putting the effort into recruiting and hiring the right people shows that you care about your brand, the organization as whole, and your customers… and most importantly, the employees. Note: the “right people” aren’t always the most-experienced or the most-obvious ones, either. You can’t just hire people, set them free, and think they’ll understand what’s expected of them. By “knowing what’s expected of them,” I don’t just mean knowing what to do in their new roles. Yes, obviously explaining the job, the benefits, and where to find the paper clips are all important to the onboarding process, but what I’m referring to is that they must know what it means to be a part of your organization, i.e., knowing your brand promise, values and commitment, what it means to live the brand, and where the priorities lie. In other words, define the culture. The CEO is the brand champion and drives the communication and the culture. The CEO needs to build alignment to the brand strategy through constant communication: educate and inspire; teach employees how their actions impact the customer experience. A culture of transparency – one of open, honest, and candid communication – will yield amazing results. Communication also includes feedback, whether it’s ongoing feedback about performance to the employee (or from the employee) or in the form of a survey or some other data collection methodology. Feedback, like communication, is a two-way street. And it needs to be acted on. In order for employees to live this culture, they must be empowered. 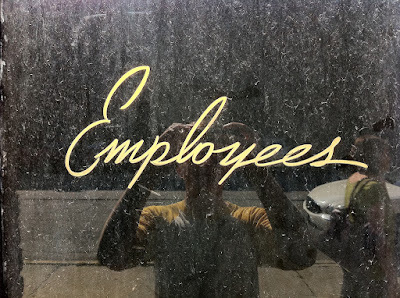 While "employee empowerment" might be one of those phrases that is over-used in conversation/theory but under-utilized in reality, I am referring specifically to ownership and accountability. I think employees can relate to what that means, but your onboarding process should certainly clarify that for them. If a customer has a bad experience directly related to his/her service, be accountable. Learn from it and improve. If a customer has an issue, step up and come up with creative solutions to fix it. If employees have ideas on how to improve the customer experience, they should be encouraged to share with the team - own it and do it. Employee ownership means your people are invested in the company emotionally. Employee ownership also means that employees are involved in decisions about how to improve the customer experience - and the company culture is such that this is allowed, supported, and applauded. Employee ownership also means that the executives are no longer in charge; the employees are. They think and act like they own the business. Rewards and recognition for a job well done must be a part of your culture. Praise for delighting customers should always be given. Knowing that their ideas, suggestions, opinions, and contributions are valued and appreciated goes a long way toward facilitating and nurturing employee engagement. Two small words, “thank you,” on a regular basis shouldn’t be too difficult. What tools can we use to set all of this into motion? I would recommend building an employee journey map. Just like the customer journey map is the backbone of customer experience management, the employee journey map is the same for the employee experience. How can you improve upon something if you have no clue what “it” is. An employee journey map clearly outlines the employee experience for you from end to end, helps to identify areas for improvement, and brings awareness to the good and the bad parts of the employee experience. The journey map will facilitate a culture transformation. Putting employees first is a lot of work, isn’t it? There’s a lot to it. An organization that puts employees first is not simply giving out coffee cups and having foosball tournaments. There’s a concerted effort, day in and day out, to do the right thing and to build the right culture. One final note: I think this might just be the most important thing. Never forget that we are all human. Show your employees that you truly care about and respect them, that they are more than just a number. Treat them the way you’d want to be treated. Treat them like humans. As some of you may know if you've perused my site (or just clicked on the SoCal CXPA tab above), I am a team lead for the CXPA SoCal Local Networking Events. 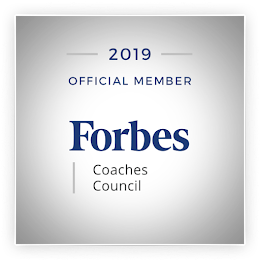 This means that my two cohorts (Jen Maldonado and Kim Proctor) and I organize local events every quarter to bring together SoCal customer experience professionals. The format for these events is networking, speaker, roundtable discussions, and wrap-up. Last week, we held our OC networking event, hosted by the great folks at The Irvine Company at one of their buildings in Costa Mesa. The speaker was Sean Van Tyne, who is the User Experience Director at FICO; he co-authored a book with Jeofrey Bean titled The Customer Experience Revolution. If you haven't read it yet, be sure to pick up a copy. Customer Experience (CX): All interactions people have with or about a company’s messages, people, processes, products or services. This encompasses the spectrum from potential customers to customers to advocates. User Experience (UX): A person’s experience directly interacting with a company’s products or services. He then went on to explain the 3Ds of the Customer Experience Revolution. Determine what the experience should be. Develop the experience by engaging people, anticipating their needs. Deliver on all their promises. 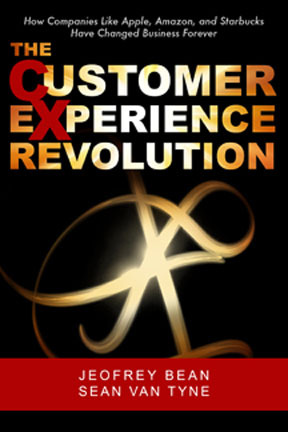 And finally, he explained the 12 Customer Experience Essentials, which nicely summarize the whole of the book. These 12 Essentials are based on conversations with Apple, Amazon, Starbucks, and others and are the things that companies who deliver exceptional customer experiences do. 1. Commitment from Executive Leadership: the executives, not just the CEO, set the direction for the company, and this is key to successfully developing a customer-centric business. In a customer-centric business, the first metric reported in executive meetings is the customer metric, not the financial metric. 2. Innovation and new ideas drive great customer experience: Following a customer-centric process helps organizations discover new ideas and innovations. 3. Know your “Do-Fors:” A company must understand what customers want the product or service to do for them. Don't communicate what you do but what you do for customers - in a language they understand. What problem are they trying to solve? What need are they filling? 4. Know the market: Look at all segments of the market – potential customers, current customers, and advocates. Benchmark those experiences for the major competitors in the market. 5. Purposely design the customer experience: Be specific. Know exactly how your experiences are better, different, and more-valuable for your customers. Be realistic about what they can promise and deliver. 6. Incorporate new communications platforms: Customer’s preferences change and your company must decide what is relevant to them, create new business opportunities, or expand your reach. 7. Measure your customer experience: What's measured gets done. Metrics of success should be aligned with delivering extraordinary customer experiences, along with other business goals. 8. Great experience create an emotional connection: Emotional connections create trust and brand loyalty. Make the choice to market with fear or market with love. You decide. 9. Ask, watch, and listen: Involve customers when creating your customer experience. Early and often – when it will be less expensive and easier to make changes, for the biggest return and impact. 10. Small teams work best to develop new ideas: Teams of eight people or less are easier to manage and make communication simpler. Things happen faster when you're working in smaller teams. 11. Stay connected to customers (not processes): Revisit or remove methods, processes, and technologies that might separate the company from customers and future opportunities. 12. Continuously improve: The best customer experience companies compete with themselves so that they continue to improve. 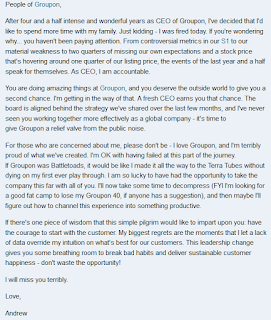 There's been a lot of talk and press about Andrew Mason leaving (OK, getting fired from) Groupon. I didn't pay much attention to it until I came across this post over the weekend about The 13 Best Resignation Letters of All Time. His really stood out to me for a variety of reasons. If you haven't seen the letter, here it is in its entirety, as published with the above story. Wow! He sums up in so many words what we, as customer experience professionals, try to convey every day: It is important to the success of the business to focus on the customer and on the customer experience. I don't know much about the inner workings and culture of Groupon, but I do know that the business has been in trouble for a while. 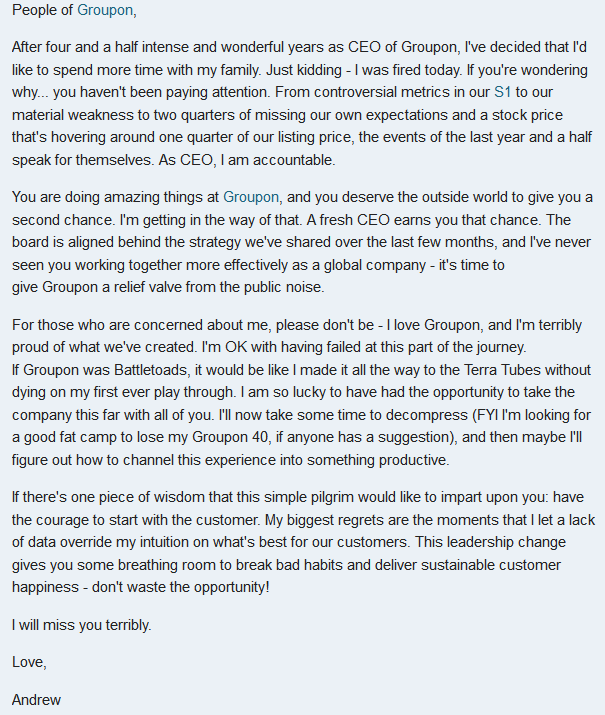 And just last week, Groupon lost a quarter of its market value after releasing their Q4 earnings. Making the customer (and employee) experience a priority leads to better numbers than that. I don't think I need to give you any examples; you should know them by now. I suppose someone learned a huge lesson here. And I'm glad he decided to impart it on his employees as he was leaving. I hope the new CEO, when selected, carries that torch. This is a lesson to be learned by a lot of CEOs. How Do You Treat Your Referrals? How do you treat customers that came in through referrals? There's all this talk about word of mouth, referrals, recommendations, promoters ... to-may-toes, to-mah-toes. But have you ever given much thought to how important that referral really is, like at the personal level, not just at the "hey, my business is growing" level? Think about this. You're asking your customers: "How likely are you to recommend my business?" They tell you they're very likely, they will, they have, etc. But what happens when you don't deliver for the person who received the referral. Satisfied customers who will spread word of mouth are the most powerful assets you have. I've got an example I'd like to share. I'm in the midst of getting quotes for a bathroom remodel. A friend of mine, who also happens to be in the process of getting quotes for his bathroom remodel, got a referral for a general contractor and passed the contractor's name on to me. My favorite part about the recommendation was that this guy is always on time, even early. I called the contractor, got his voicemail, and left a message; he called me back the same day. I let him know that a friend he did work for referred him through another friend. We set a time (on a Monday afternoon) for him to come by to talk about the work I wanted done. When he arrived, he told me I was his ninth stop of the day. (Hmmm.) He was super friendly, very knowledgeable, and I appreciated his suggestions. As he was leaving, he told me he'd have the quote for me on Wednesday. Expectation set. Wednesday came and went, and the week rolled into a busy weekend. No email; no quote. I called him Monday morning and left him a voicemail. He never returned my call, but I got an email with the quote the next afternoon, along with a note saying that I should call him with questions. Of course I had questions, so I called him the next day (Wednesday). I didn't get a return call; instead, I got an email Friday afternoon with an apology, an explanation, and a note asking if he could call me Saturday afternoon. I responded and let him know I'd be available all day Saturday. No call on Saturday. He called me Monday (earlier this week); I wasn't available. I haven't called him back. So my question is: If you know a customer was referred by someone you've previously done work for or done business with, should you treat that customer differently? I don't necessarily think that you need to treat the person differently; after all, you earned a recommendation because of the way you do business (great product, great service, etc.). Be yourself. The problem arises when you don't adhere to the tenet of the consistent experience. This contractor has to know that friends talk. In the end, he's not going to get my business or my friend's because neither of us care for that type of service. What happens if we hire him and there's a problem or a change if he can't get it right during the quote phase. Not only does this highlight the need for a consistent experience for all customers but also a consistent experience at the various touchpoints across the stages of the lifecyle. Contrast that with another contractor, one that I found on Angie's List. (Have you used Angie's List yet? It's awesome.) His reviews were phenomenal, and it wasn't difficult to select him from the myriad of contractors that popped up for me. I called him, and he actually answered the phone! (Unlike the other contractors I called.) We arranged a time (this past Sunday) for him to come to my house; the night before, he texted me and confirmed the time and the address. Wow. He showed up on time, and he spent almost 90 minutes discussing my needs, making suggestions, talking about pros and cons of some of my ideas, etc. It was so refreshing. As he was leaving, he set my expectations: he does paperwork on Sundays, so he'd send the quote on Sunday at the latest, sooner if he could get to it. I'm writing this on Thursday night, and just a few minutes ago I saw an email come in from him with the quote. Expectations exceeded. Anna Papachristos said in a recent article on 1to1 media: "Word of mouth--Happy and engaged customers have a mouth, and they are not afraid to use it. Through positive word-of-mouth recommendations, companies will gain net new customers." I'd like to add the opposing view that, "Through negative word of mouth, companies will lose current and potential customers." Word of mouth is a good thing... but it can also be a bad thing.